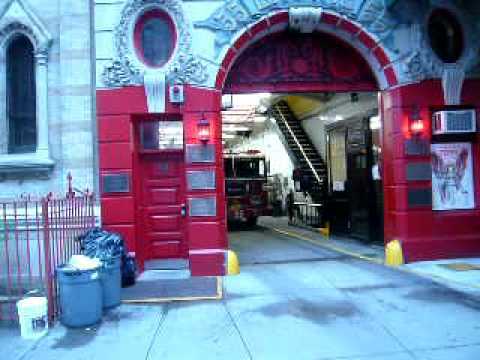 FDNY Engine 55 (Double Nickel), located on Broome Street between Mott and Elizabeth Streets in Little Italy, makes a lot of noise as it responds quickly to a phone alarm at the Overseas Chinese Mission at 154 Hester Street and Elizabeth. They are first due. Engine 55 is made by Seagrave. We will see them, as well as a few more companies, on the scene in the next video. If you have any questions about the video, feel free to message me. Comments are welcome. The video was taken on May 5th, 2009.